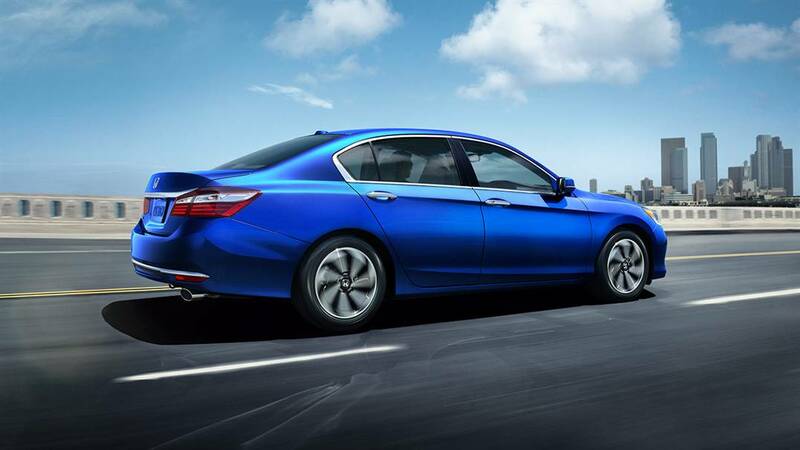 Goshen and Monroe drivers often view the 2017 Honda Accord and the 2017 Hyundai Sonata as well-matched, but closer inspection demonstrates that this is not the case. The devil is in the details, and the details show that the Accord edges ahead of the Sonata across every possible measure, from safety to performance. 3.5L V6: The available V6 engine produces up to 278 hp and 252 lb-ft of torque. Independent testing from Edmunds.com clocked it going from zero to 60 mph in 6.1 seconds. The 2017 Hyundai Sonata also has a pretty strong range of powertrain options, but they always fall just a little bit short of the standards set by the 2017 Honda Accord. Entry-level models receive a less potent 2.4L four-cylinder capable of 185 hp and 178 lb-ft of torque, but mileage peaks at 25 mpg in the city and 36 mpg on the highway. 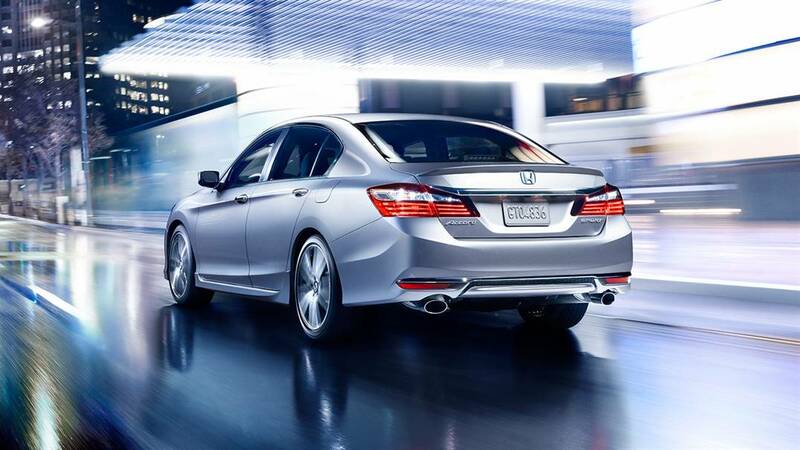 You’ll have to shell out more for an Eco model if you want efficiency scores to match the Accord’s standard engine, and that means accepting a marked drop in horsepower. But the Sonata will really fall flat for anyone looking for V6 performance since there is no six-cylinder option, just a 2.0L four-cylinder rated at 245 hp and 260 lb-ft of torque. It made a poor showing by getting from zero to 60 in a comparatively lengthy 8.3 seconds in testing performed by Edmunds. The 2017 Honda Accord matches its power beneath the hood with plenty of space inside the cabin. There’s up to 103.2 cubic feet of passenger space to ensure that everyone feels relaxed, which is more than can be said for those riding in the Sonata. In fact, the Hyundai offers only 35.6 inches of rear legroom vs. 38.5 in the Accord.Those in the rear will feel less confined if you choose the Accord, but they aren’t the only people who will benefit. 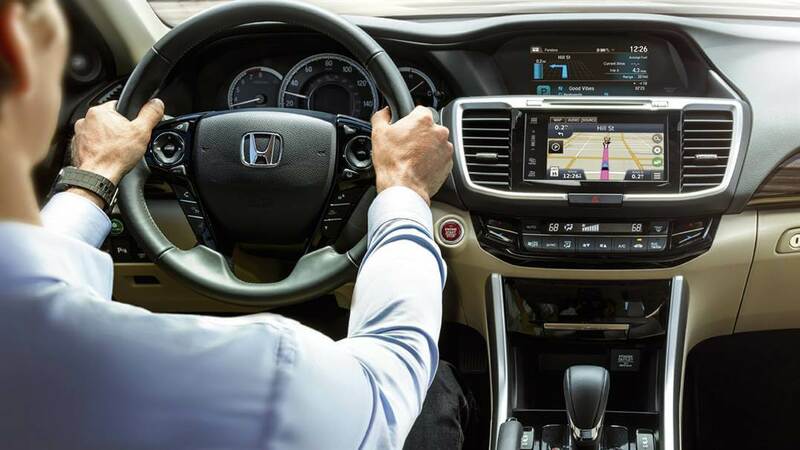 Unlike the Sonata, the Accord offers an indulgent 10-way power driver’s seat with power lumbar support and memory settings. Some Goshen and Monroe drivers assume that the Accord’s roomier dimensions wouldn’t be backed up by state-of-the-art of technology, but they’d be wrong. The Accord continues to knock it out of the park by offering the following standard and available features that you won’t find with any trim level of the 2017 Hyundai Sonata. Multi-Angle Rearview Camera with Guidelines: The Sonata also equips a rearview camera as standard, but it looks pretty basic next to the Accord, which offers three separate viewing modes and integrated guidelines for easy reversing. Front and Rear Parking Sensors: While the Sonata only allows parking sensors in the rear, the Accord can also place them in your front bumper. If you like to glide easily in and out of parking spaces and maneuver with confidence, the choice between them should be obvious. SMS Texting Function: Honda understands that, for the modern driver, staying in touch means more than being able to make and take calls. 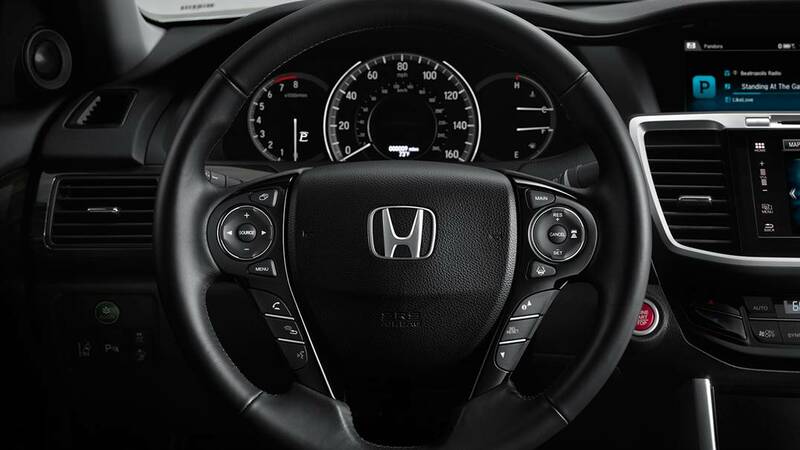 That’s why the Accord comes with a handy standard SMS service that can read incoming messages aloud. 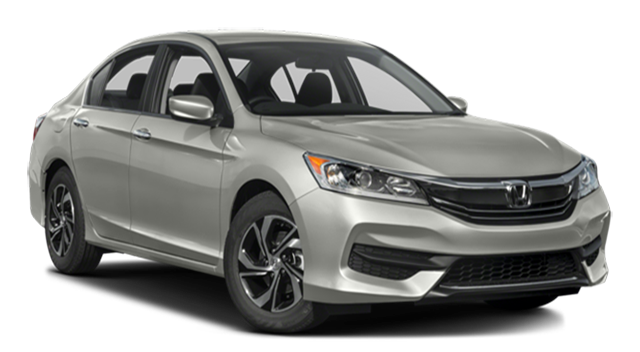 The Honda Accord remains a standout model for safety thanks to its consistent ability to outperform rivals during crash testing and provide a greater array of safety technologies.The 2017 Accord continues in that tradition by earning a 5-star overall safety rating** from the NHTSA, including a 5-star rating in the tricky rollover test. 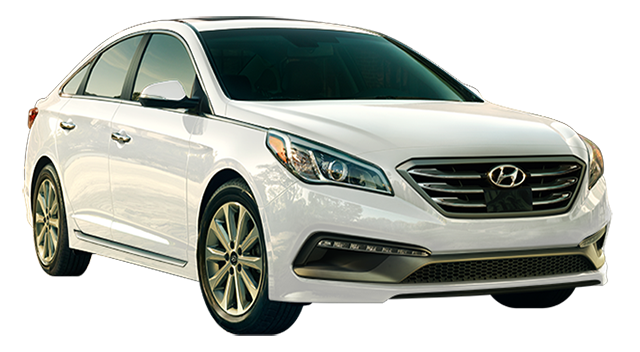 The 2017 Hyundai Sonata received only a 4-star rating in that segment, as did competitors like the 2017 Ford Fusion, 2017 Toyota Camry, and 2017 Mazda6. The Sonata even scored a woeful “Poor” in terms of headlight reliability and “Marginal” in terms of child seat anchor reliability when tested by the IIHS. The 2017 Honda Accord doesn’t dominate the Sonata in quite the same way it outclasses several other competitors, but it still edges ahead in every way that counts. To find out more, simply pick up the phone and contact Middletown Honda.